So you’ve finally decided to replace that old, worn-out roof. But it’s important to realize that not every roofing company is the same. Choosing a reputable roofing contractor is a critical first step in ensuring the successful completion of your project. In this blog post, we’ll discuss which mistakes to avoid when hiring a roof replacement company. Failing to ask for licensing and insurance documentation – Prior to even discussing your needs with companies, be sure to ask for licensing and insurance information. 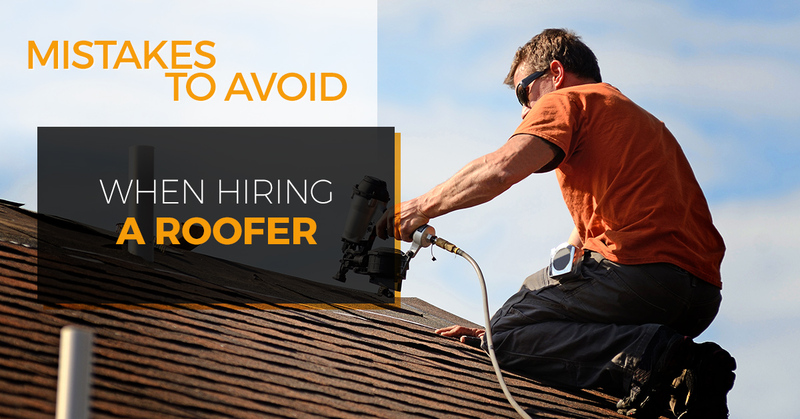 Unfortunately, many homeowners are pulled into doing business with shady “professionals” who have no right to be on your roof in the first place. Fortunately, there’s no need to worry about the reputation of Schroeder Roofing. Over the last 40 years, we’ve been trusted as the premier Colorado roofing contractor. You can feel comfortable knowing that we are fully licensed and insured. Plus, we continue to be members-in-good-standing with the Better Business Bureaus of Northern and Southern Colorado, the Colorado Roofers Association, and the Home Builders Association. Failure to obtain a proposal – This is where some roofing companies can take advantage of folks. Rather than take the time to provide a written proposal, they choose the easy way out in sticking with a verbal price. Remember that the proposal should not only be in writing, but it should be detailed and include a complete breakdown of the work required. It should also mention the number of days needed to complete the project, as well as payment procedures. Our Northern Colorado roofers will work with you during this process, making sue that we communicate everything clearly. Failure to compare bids – By no means should you select a roofing company based on price alone. In fact, you should actually be wary of bids that are significantly lower than others because it usually means the work won’t be up to par. That’s why it’s imperative to see your new roof as an investment. In turn, you should take every precaution necessary to make sure that’s done right the first time. The last thing you want is to find that the work was done poorly, forcing you to pay for yet another replacement roof. If you’re looking for a roofing company with a great reputation, superior service, and unmatched professionalism, then it’s time to get in touch with Schroeder Roofing. From residential roofing and commercial roofing to gutter services and hail damage repair, we can help.